The 29th edition of the African, Asian and Latin American Film Festival – FESCAAAL, the only one in Italy dedicated to the cinema and cultures of Africa, Asia and Latin America, will be held in Milan, from 23 to 31 March. 9 days of screenings, meetings with directors and events inspired by the cultures of the 3 continents, with 60 films divided into 7 sections. The prismatic Zebra, which has now become the symbol of our Festival, continues to guide us and this year appears in a circular composition summed up by the claim MiWorld Round Vision, an invitation to observe the world through a panoramic lens so that everything comes round again. In these years of closure and worrying changes, we feel it is increasingly necessary to continue offering an overall vision that embraces the things as they reciprocally influence one another to understand trends, movements and flows. The Festival experience continues to be a unique opportunity to reach this general view of a part of the “world system” which seems not to exist until it interacts in terms of “migration”. 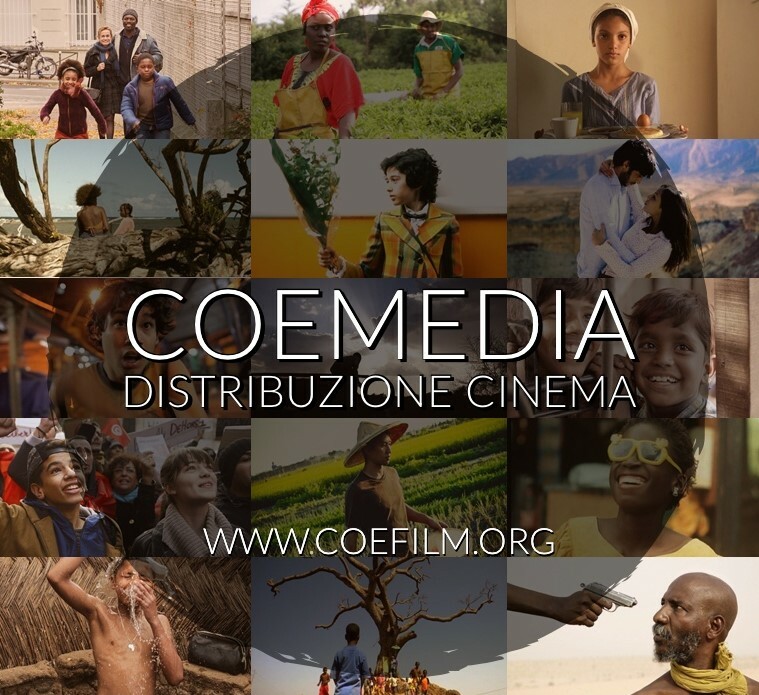 60 films – chosen from about 700 films received – including 22 Italian premieres, 1 European premiere, 2 international premieres and 3 world premieres. The films in competition will be judged by an international jury who will award the “Comune di Milano” Award to the Best Feature Film in the Windows on the World Competition, by a jury of Italian journalists who will attribute a Prize to the Best African Short Film and the Prize for the Best Film in the Extr’A Competition, for Italian films shot in the three continents and with a gaze on Italian current affairs. For the first time it will be a film by an Italian director, Fiore Gemello by Laura Luchetti, to be released by Fandango, which will open the 29th edition of the Festival. 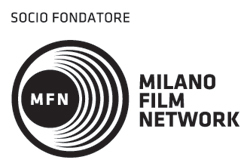 It is a film which is very important to us and which we have supported since the phase of work in progress at the Atelier MFN 2017 of the Milano Film Network. We have since appreciated its brilliant career which started with its world premiere at the Toronto International Film Festival 2018. The awards it has received include: Mention of Honour of the Fipresci at the Toronto International Film Festival 2018 and the Golden Antigone for the Best Film at Cinemed Festival, Montpellier 2018. We have chosen it for the aptness with which it deals with the subject of migrants, or rather, for how it does not analyse it, leaving it in the background, whilst it accentuates the story of friendship and love that is possible between Anna and Bassim, an act of resistance by two adolescents to stay “human”. The two debuting actors, Kallil Koné from the Ivory Coast and Anastasyia Bogach, are young non-professionals masterfully directed by Laura Luchetti. The Associazione Centro Orientamento Educativo – COE and Fondazione Edu, which have both been committed fordecades to promoting education and culture in Africa and with Africa, present the 3rdedition of Africa Talks, a regular appointment in the Festival which investigates trends and opportunities which are revolutionizing various sectors in Africa to actively contribute to the future economic development of the continent. This third edition of the round table entitled Back to the roots. Agriculture and food between old and new knowledge is dedicated to a delicate and fundamental subject, namely that of agricultural production and food sustainability. “In Africa youth entrepreneurship, together with digital innovation and new educational tools, is developing the NUS (Neglected and Underutilized Species) for an agriculture of the future that respects the local culture and identity.” Elisabetta Demartis, curator of the round table. The speakers: James Kung’u researcher and university lecturer from Kenya; John Kariuki, vice president of the Slow Food Foundation for Biodiversity; Awa Caba, a young Senegalese entrepreneur; Hervé Pillaud, founding member of Digital Africa, a French writer and lecturer and Stefano Liberti, an Italian director, writer and journalist. At the end of the rounds table there is a cocktail and a film will be screened. This year we present one of the most interesting films on the difficulties of the rural world in Africa at grips with climate change: Thank You for the Rain by Julia Dahr which tells the story of the dream of Kisilu Musya, a Kenyan farmer, to change the world. Africa Talks will take place on Monday 25 March at 6.30 pm atAuditorium San Fedele. 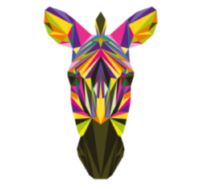 > the third edition of the Festival OFF, a series of activities in the neighborhood of Porta Venezia, the heart of the Festival in the center of Milan. This year as never before we will be looking at the new generations with the launch of the 1st MiWorld Young Film Festival – MiWY which will be held as part of the FESCAAAL from 25th to 30th March. 6 days, 12 films, 2000 schoolchildren, 250 teachers, 3 special juries, 4 prizes, 1 training course and 1 international seminar: the MiWorld Young Film Festival-MiWY is the first and only film festival for schools in Italy wholly dedicated to the knowledge of the films and cultures of Africa, Asia and Latin America and intercultural education, a project by the Associazione COE, as part of the national Cinema and Schools plan promoted by the Italian Ministries for Culture and for Education in collaboration with Fondazione ISMU. A fully-fledged festival wholly dedicated to the world of the school, the MiWorld Young Film Festival comes into being as an evolution and expansion of the educational activities of the COE at the FESCAAAL on film literacy. The MiWY will have 8 mornings of screenings exclusively for the schools, on reservation and with entrance free of charge. For further information, please contact coescuola@coeweb.org. From the first years of the festival, one priority has always been to take part of the festival-event to other Italian towns and cities, stimulating and boosting the annual activities of distributing films from emerging cinemas throughout the country. This year again, the FESCAAAL renews the collaboration with the Museum of the Cinema of Turin, offering some post-festival screenings of the Italian premieres and inaugurates another important collaboration with the Apulia Film Commission which on Monday 1st and Wednesday b3rd April will present two films from the FESCAAAL at the Cineporto in Bari: Kabul, City in the Wind by Aboozar Amini and Yomeddine by Abu Bakr Shawky in the presence of the directors. The initiative is by the cultural association La Scatola Blu and produced by the Apulia Film Commission.